But first ... an update on my running. I headed back to the YMCA yesterday to do another indoor run since 88 degrees does not sound like good running weather to me. 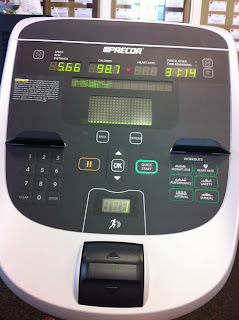 I ran my fastest time yet (well post pregnancy) and did 3.25 miles in 26 minutes. I am really looking forward to the 5k this Saturday and hope to have a fast time then as well. 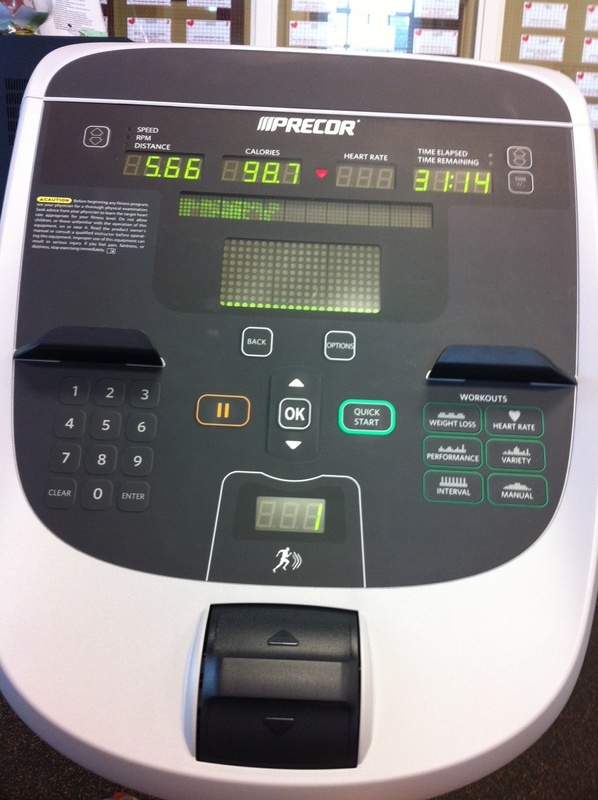 I had taken a day off from running on Saturday and bicycled at the gym for a little over 30 minutes. I had "Fifty Shades of Grey" to keep me company and didn't even notice the time go by. Days 14 and 15 of my work out streak! Back to the baking ... I found the recipe for Twix Cheesecakes on pinterest and had the chance to make them yesterday. 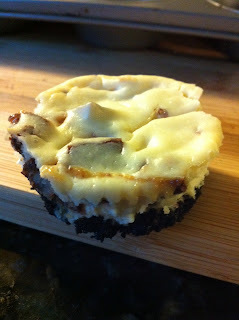 I halved the recipe since there is no reason why we should have 15 of these mini cheesecakes in our home. The tricky part is waiting until the next day to try them since they have to chill overnight in the refrigerator. Let's just say my breakfast this morning included one of these delicious desserts. Oh these look so delicious! You are doing awesome with your workout streak. I am 17 weeks pregnant and keeping up with working out so far. Hoping this helps with recovery after! congrats on your pregnancy Lauren! definitely keep up with working out (as long as you feel good and the DR ok's it). it really does help with the recovery afterwards.